Talakad on the banks of the river Cauvery was famous as the capital of the early Western Gangas and continued as an important cultural centre till the times of the Wadeyars. Now it is famous for its amazing sand dunes and the panchalinga darshana. 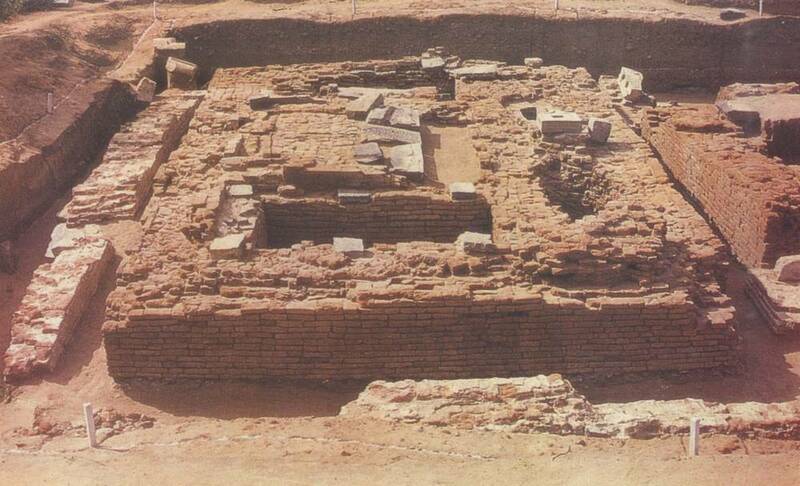 Archaeological excavations were conducted here and they revealed many brick structures of antiquity and the present Jaina temple is one such structure excavated here. The Western Gangas were great patrons of Saivism and Jainism as evidenced by many inscriptions and structures. They are known to have built a Vijaya Jinalaya at Talavanapura or Talakad itself and perhaps the excavated Jaina temple may be the same as the one referred to in the inscription. Unfortunately only the foundation of this temple could be traced but not the superstructure. The entire temple was built of well-burnt bricks. The brick temple consisted of three garbhagrihas in a row horizontally, an antarala and a mukhamandapa with a provision for pradakshinapatha. All these structures are enclosed within a prakara wall also of bricks. The main garbhagriha is square (3.25 mts) with two rectangular sanctums on each side (3.25 x 1.80 mts). In front of these sanctums is a small oblong porch (2.8 x 11.00 mts). All the three garbhagrihas have separate doorways in the front opening to the common porch. The separate mukhamandapa in front of the sanctums is square with thick foundation walls. The entire structure was built over a basement or a plinth consisting of various types of mouldings. Perhaps some pillars were used at different points. Perhaps these and other wooden pillars supported wooden framework of the roof above. Thus the brick construction was strong as well as elegant. 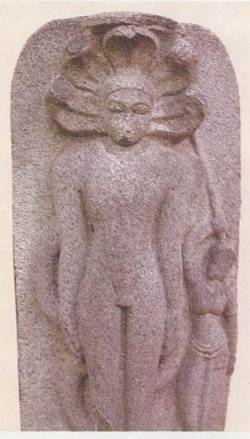 Very close to the garbhagriha was found a stone image of Tirthankara Parsvanatha. It is in high relief. He is standing with a five hooded serpent and an umbrella above. There is a sculpture of Padmavati Yakshi at the left holding an umbrella over the serpent. This is a rare sculpture. This was the image which adorned the main garbhagriha of this temple. Thus this brick temple provides evidence for Ganga patronage to Jainism at Talakad itself.